X, 210 p., 12,2 x 19,4 cm. With contributions by Hans Michael Baumgartner, Michaela Boenke, Jean-Francois Courtine, Lore Hühn, Jörg Jantzen and Birgit Sandkaulen. 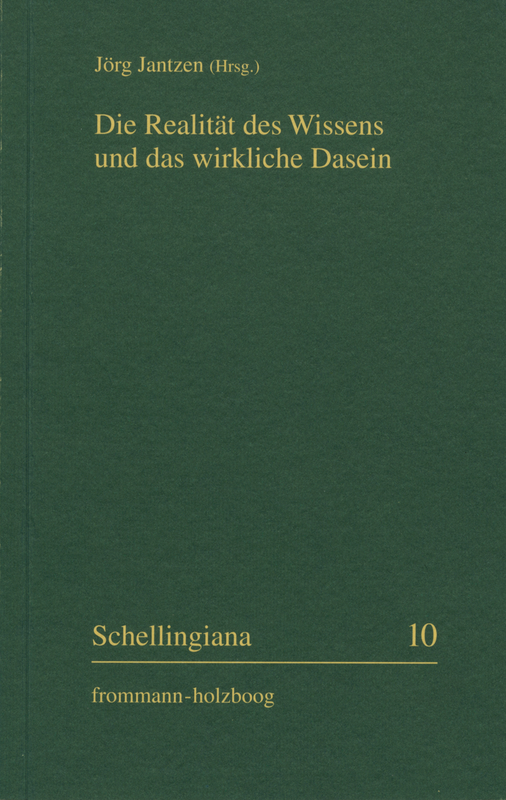 The articles collected in this volume, written by Jörg Jantzen, Birgit Sandkaulen, Hans Michael Baumgartner, Lore Hühn and Michaela Boenke on the Schelling-Tag (Schelling Day) at the University of Jena in 1995, along with the first German translation of a text by Jean-François Courtine, provide a critical introduction to Schelling’s writings in 1795: ›Vom Ich als Princip der Philosophie‹ (Of the Ego as the Principle of Philosophy) and ›Philosophische Briefe über Dogmatismus und Kriticismus‹ (Philosophical Letters on Dogmatism and Criticism).